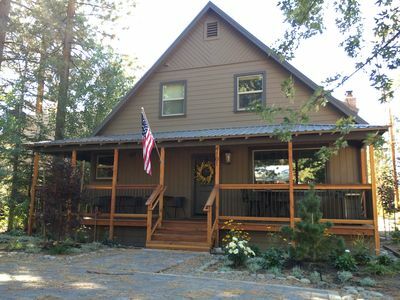 10% off your stay at Bear Claw Estate! - Please note that all promotional offers are subject to availability and cannot be combined with any other offer or promotion. 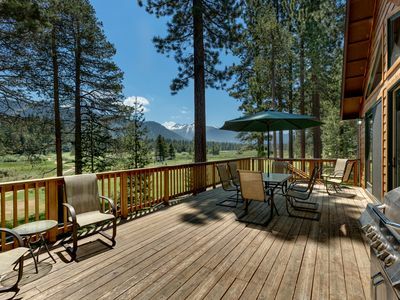 Finally, the vacation home you’ve dreamed about is ready for you. 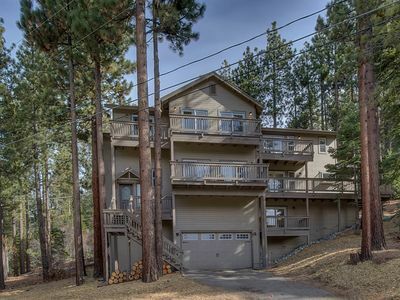 This 10,488 square foot property can accommodate your party of 16 easily. 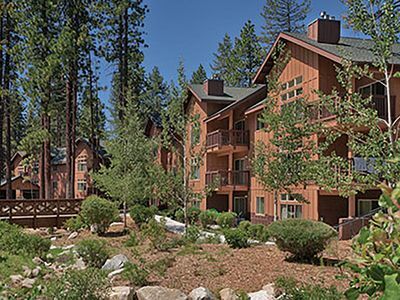 With eight luxurious rooms, a private indoor pool & hot tub, and only minutes from Heavenly Resort, you have everything you need for an unforgettable family escape. 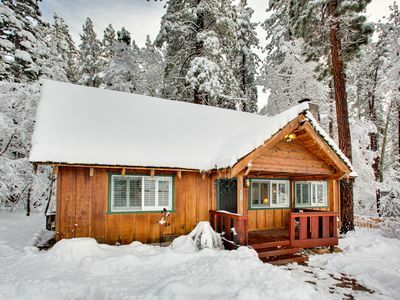 Your vacation starts the moment you walk through the door. 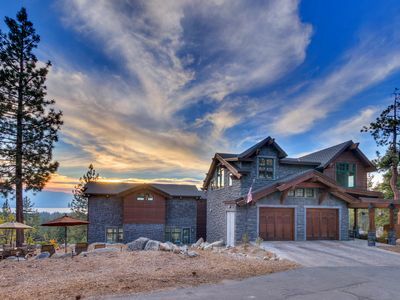 The granite and clean line wood finishes bring an elegant touch to this spacious home. 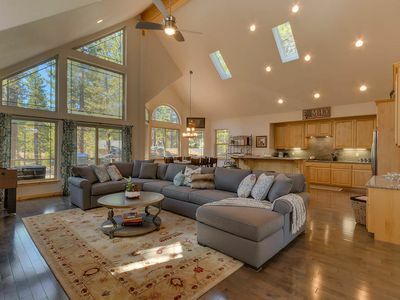 Stretch your legs from your adventurous day out, in the oversized sectional, while you lean back and watch some TV and warm your feet by the inviting fireplace. The gourmet kitchen with stainless steel appliances, 10 gas burner cooktop and two separate islands provides enough room for multiple cooks to showcase their skills. 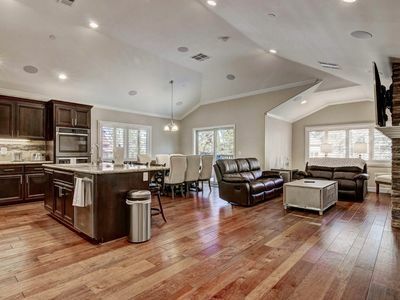 Right off the largest kitchen island the breakfast bar allows for up to 8 people to dine at one time. 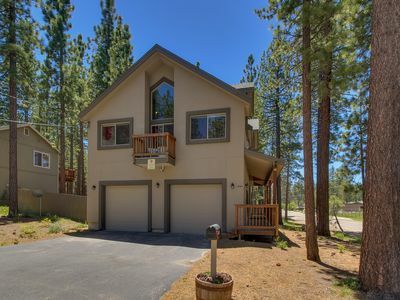 If you’re looking for a meal with a view, you can overlook beautiful Lake Tahoe while dining at a table for 10 at the elegant formal dining room table. 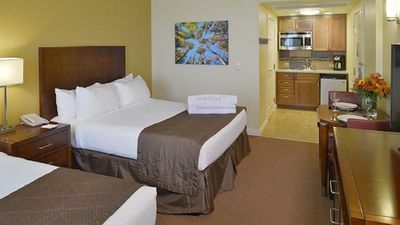 The master suite is no less grandiose with its plush King-size bed that overlooks the mountains and Lake Tahoe. 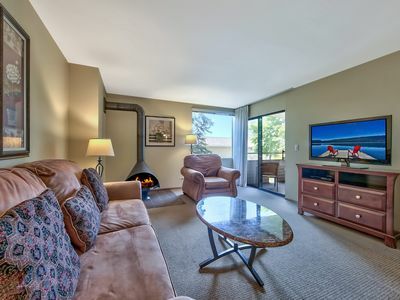 The large inset TV and bedside fireplace allow you to relax like a king. The double-sided fireplace also warms you as your taking a soak in the jetted soaking tub, where you can watch your favorite show. You can also pour yourself a nightcap from the wet bar attached to your ensuite bathroom and unwind from a long day. 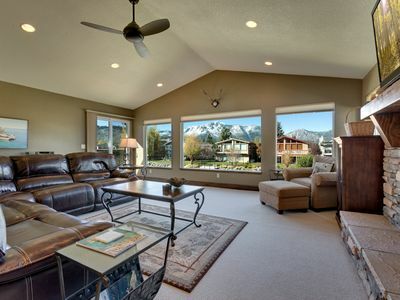 The upstairs media room really lets you relax with your party. Watch a movie or cheer on a game in surround sound, have a laugh at the bar, or even play a few notes on the piano. This media room will easily be where everyone meets to make plans and gather. 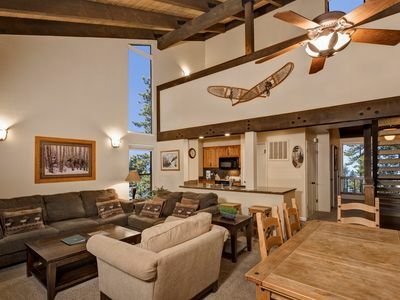 You can also escape to the upstairs Den. 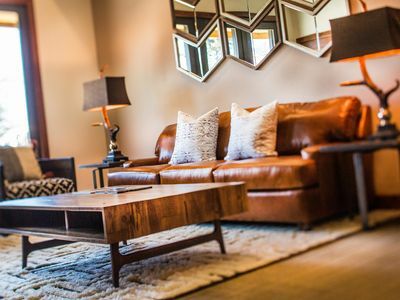 Grab your favorite classic read and cozy up by the fireplace while you escape in a good book in the soft leather seating. Or take in the sunrise with a hot coffee in hand and plan your day while you over-look the gorgeous landscape. 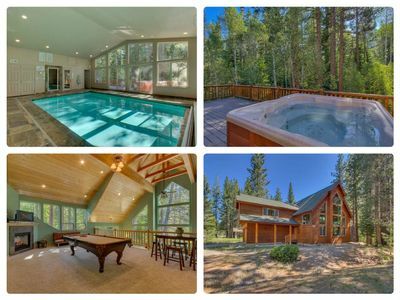 You never have to worry about the season with one of the best features of this home, the indoor private swimming pool, and hot tub. This heated indoor pool allows you to throw on your favorite tunes and splash around in pure comfort. 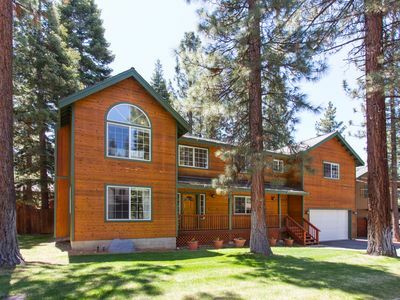 Riverside 6 Bed 6 Bath Indoor Pool & Hot tub & Sauna & Steam Shower In Tahoe !! 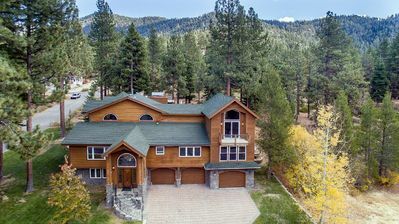 Wonderful mountain home with all the extras! 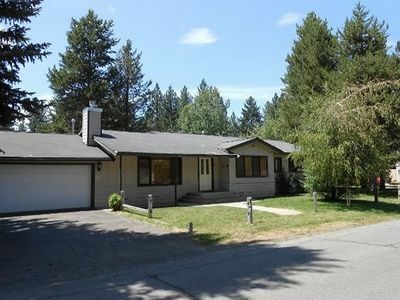 V37- Great Location, Spacious One-story Home, Ideal For A Large Family! 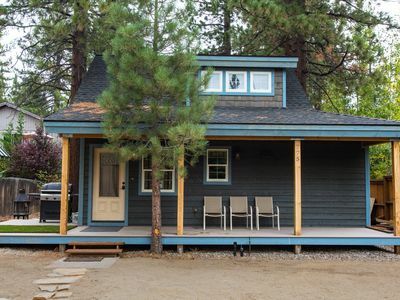 Darling beach cottage, 1 block from the lake. 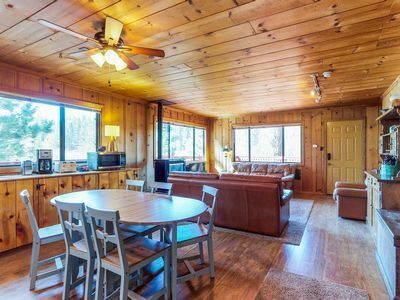 Dog-friendly mountainview cabin with free WiFi - secluded with room to roam! 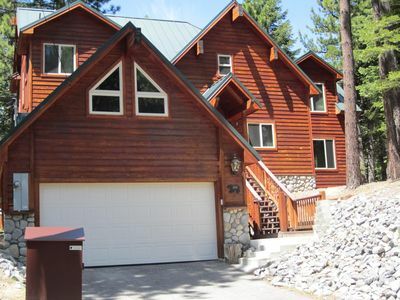 Lake Tahoe Retreat | Deluxe Townhome minutes from Heavenly!